The Rocky Patel Vintage 1990 line is a medium bodied smoke. This blend of rare aged tobacco has the perfect balance of flavor, complexity, and richness. A very smooth earthy smoke with notes of cedar and a light espresso flavor. In pursuit of the finest tobacco's the world has to offer, Rocky Patel uses this 12 year old Honduran Broadleaf wrapper along with a 5 year old filler and binder that will satisfy every smoker from novices to the most discriminating of aficionados. The Rocky Patel Vintage 1992 is a medium to full bodied blend that uses an Ecuadorian wrapper that has been aged a full 10 years. This wrapper, combined with a 5 year old filler and binder, make a true vintage cigar unlike any other. The aroma is very earthy with hints of wood and nuts and has a moderate finish. Highly rated and considered a great value for its age and quality, the Rocky Patel Vintage 1992 comes packaged in wood boxes of 20 and the cigars are box pressed for a sharp presentation. The Rocky Patel Vintage line is among the most popular cigars of today. 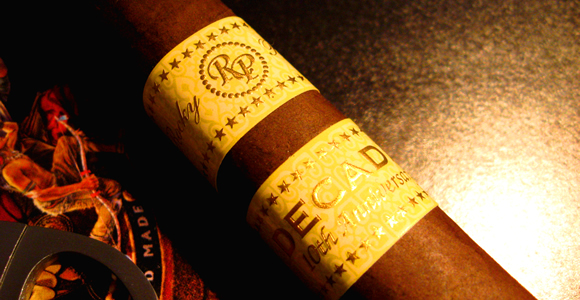 Like most of Rocky's box-pressed cigars, the Decade Toro is an attractive-looking stick. The cigar is adorned in a chocolate-hued Ecuadorian wrapper that surrounds a diverse Nicaraguan filler binder blend. The foot lits cleanly and the smoke is exceptionally creamy and earthy from the get-go. The smoke is rich and full-flavored with a shot of spice on the finish. As it continues, the cigar becomes spicier, while revealing a nice firm ash. The cigar is advertised as a full-bodied, make-you-weak-in-the-knees experience, and the first few inches certainly deliver. I found lots of peppercorn and what can be described as a bitter black coffee flavor. 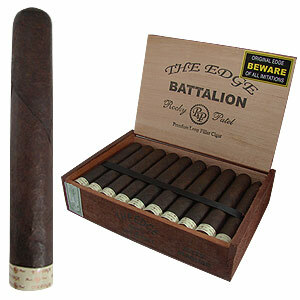 The thick smoke has lots of texture with a hearty, biting aftertaste. 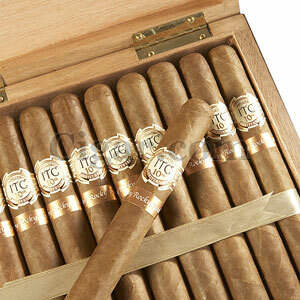 ITC 10th is no different than Rocky’s other blends when looking at quality and construction. The Ecuadorian Sumatra wrapper showcasing this cigar is seamless, slightly oily, and gorgeous in appearance. The fillers are all Cuban-seed Nicaraguan and offer a medium-bodied, complex bouquet of flavors that include cedar, hearty notes of earth, and spice. The finish is long, offering a sweet aroma and a smooth character while the smoke emitted is thick and creamy.